Today I am sharing a great Book of Mormon journal for children and youth. Do your children study the scriptures? 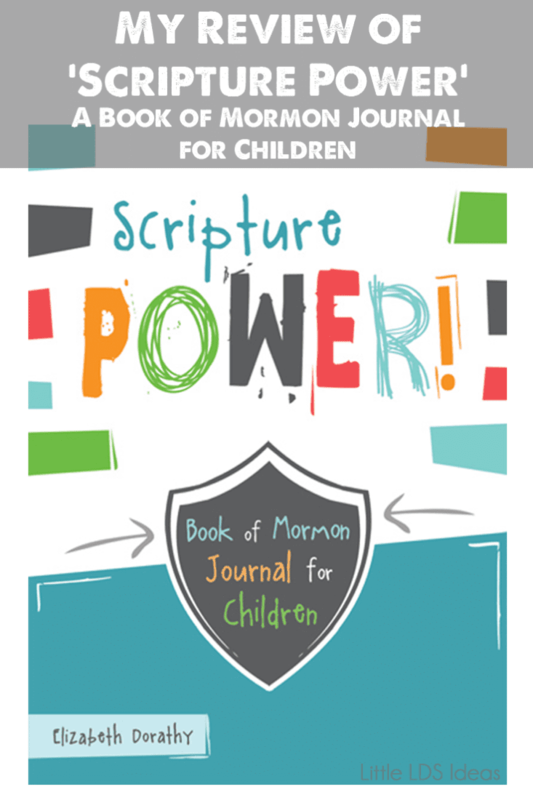 ‘Scripture Power’ is a great companion for children to use while reading the Book of Mormon. 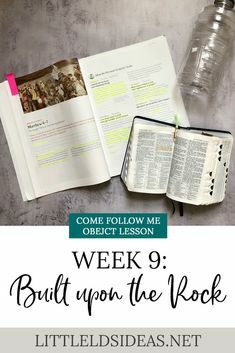 This journal makes it fun and easy to learn along the way, as well as including prompts that fulfill Faith in God requirements. 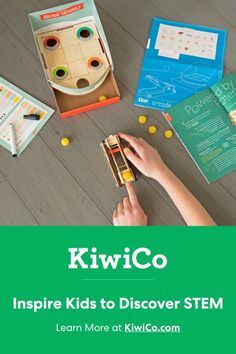 With activities, questions, and writing prompts, your kids will learn to apply the stories and lessons to their own lives, while reading excerpts from each chapter. Elizabeth Dorathy, the author, was kind enough to send me both of her books to review. When I received them I fell in love! I loved the fun, colorful cover, but what I loved most was inside! There are so many things I am loving about this journal, but one thing I am really loving is this symbol in this picture! It’s not the symbol that I love, but rather what it represents. Whenever you see a symbol like this or similar, it is a Faith In God requirement! By reading the scripture references, and then doing the activity your son or daughter would be completing a Faith in God requirement. Isn’t that great! I love that Elizabeth took the time to include FIG symbols to her book. But by using this great journal, your children will be completing some of the requirements! My son, and I have been working on this together, and I have really enjoyed studying with him. Every night, as I tuck him into bed, we read a page or two from the journal, and then discuss the prompt/question in the journal. I have loved to hear his answers to the scriptures we have read. I know he participates in his Primary class, but I’m not in there to hear what he says..or if he says anything at all. I love this time that we have to study and discuss what we learn from the scripture. I like how the journal just focuses on a few key scriptures. I think this really helps with younger children. It’s short enough to keep them interested, but still focuses on the main topic from the chapter. ‘Scripture Power’ would make a great baptism gift, birthday gift, Christmas gift, or just to help your children get a little more out of their scripture study. I HIGHLY recommend it! If you would like to take a look inside of the book, then take a look at it on Amazon, HERE! You can purchase it through Amazon, Barnes & Nobles, or Book and Things. 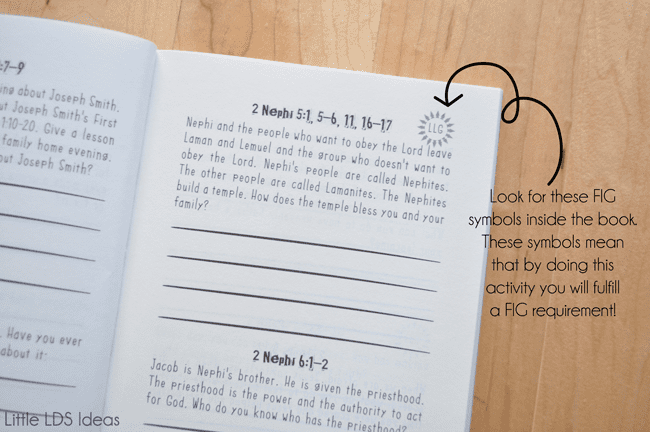 The “Scripture Power” journal is for children ages 6-11, so if you have older children you’ll want to take a look at this journal that Elizabeth also created. Another great Book of Mormon journal! In this journal, youth will discover the importance of daily study by reading a chapter from the Book of Mormon, and then use this wonderful journal to further their study. 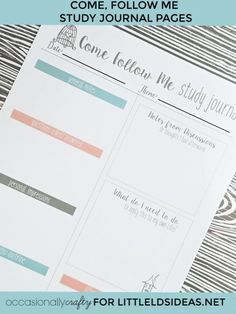 This journal is filled with inspiring prompt questions, it’s an interactive way to strengthen their testimony of the Savior and learn to apply the scriptures to their own life. This fun, relevant journal is the perfect scripture-study companion so your son or daughter can better feast on the word of God. I have loved looking through this journal and read the question/prompts that are inside. 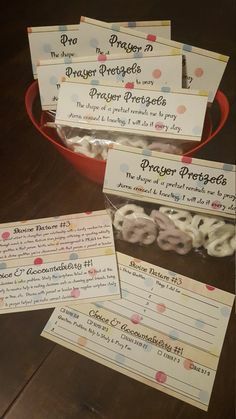 What a great way to teach your children to take time to think a little more about what is being taught in that particular scripture. This would also be great to pass of some of the Personal Progress requirements. As they read the required scripture, they can look at the question/prompt inside their journal. Then they can write down their thoughts. I have been reading this scripture every day this week, but as I read this question, I took a moment to really think about it, and ponder how it relates to me and my life. This, too, would make a great gift for any Youth in your life. To take a peek inside this book click HERE! Amazon, Barnes & Noble, or Books and Things. 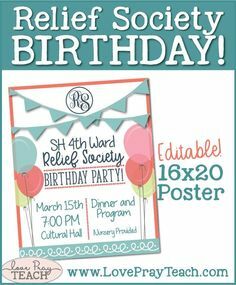 And SOON…you will see them at Deseret Book! Be sure to stop by Elizabeth’s Blog, Book of Mormon Journals, to learn a little bit more about her. And like her Facebook page to hear all the latest info on her books! Visit her Facebook page, HERE! As for the other giveaway…you’ll just have to be on the look-out! Thanks so much, Elizabeth for giving me the opportunity to review and share your amazing journals with all of my readers! Thanks for sharing your review. 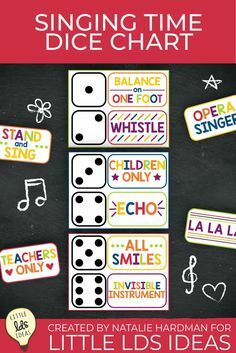 I am excited to try this with my children. What amazing women of faith you all are! Olá Shenna! Gosto muito de seu blog, tem me ajudado muito. Obrigada! 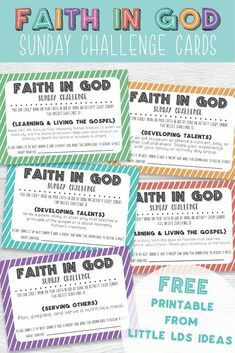 LOVE that it points out the Faith in God requirements too- 2 for 1! These journals are really great. Can’t wait for my kids to start using the one I won! I have a daughter who has a birthday soon and won’t give me a wish list. That youth journal might be perfect for her. Thanks! 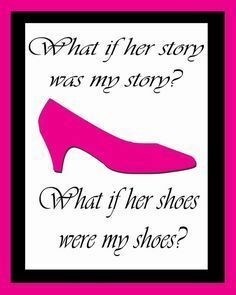 Your posts are always so comprehensive & detailed- thank you Sheena!